Deeply sweet, richly earth-toned. Dark chocolate, candy cap mushroom, gardenia, black cherry, grapefruit zest in aroma and cup. Balanced, sweet-savory-tart structure with vibrant acidity; full, syrupy mouthfeel. The crisp, flavor-saturated finish centers around sweet fruit and floral notes and an intriguing savory inclination. Intensely sweet-tart, deeply rich. Blackberry jam, toasted coconut, dark chocolate, fine musk, fresh-cut redwood in aroma and cup. Sweetly tart structure with juicy, bright acidity; delicate, satiny mouthfeel. The quiet finish centers on notes of blackberry and chocolate in the short, musk and redwood in the long. High-toned, deeply sweet. Black currant, honey, sandalwood, narcissus-like flowers, roasted cacao nib in aroma and cup. Sweet-tart in structure with juicy, bright acidity; full, syrupy-smooth mouthfeel. The resonant finish consolidates to notes of black currant and honey in the short, rich cocoa-toned sandalwood in the long. Crisp, sweetly tart. Concord grape, baker’s chocolate, cedar, musk, magnolia in aroma and cup. Balanced, sweet-tart in structure with juicy acidity; full, satiny mouthfeel. The resonant finish leads with fruit and floral tones, rounding to baker’s chocolate in the long. Fruit-forward, spice-toned. Raspberry jam, clove, rum cordial, fresh-cut fir, dried hibiscus in aroma and cup. Sweetly tart structure with brisk acidity; lightly creamy mouthfeel. Clove and raspberry drive the sweet-toned short finish, while notes of fresh-cut fir reappear in the long. Delicate, sweetly spice-toned. Peach blossom, hazelnut, pink peppercorn, lime zest, cedar in aroma and cup. Sweet-tart in structure with lively, balanced acidity; plush, syrupy mouthfeel. The finish consolidates to peach blossom and hazelnut in the short, with lime zest and cedar resurfacing in the long. Crisply sweet, balanced. Apricot, freesia-like flowers, baker’s chocolate, clove, almond in aroma and cup. Sweetly tart structure; full, velvety mouthfeel. 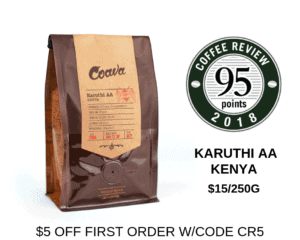 The finish leads with notes of sweet stone fruit and spicy florals in the short, rounding to cocoa-toned almond in the long, with a lingering hint of clove-like spice. Evaluated as espresso. Richly floral, chocolate-toned, sweetly tart. Wisteria, dark chocolate, tangerine zest, molasses, dried apricot in aroma and small cup. Viscous, lightly syrupy mouthfeel; crisp, cocoa-toned finish. Very floral in cappuccino-scaled milk: Notes of wisteria and dark chocolate dominate, nuanced by tangerine zest and dried apricot. Sweet-toned, earthy-rich. Cocoa powder, pipe tobacco, hibiscus, moist fallen leaves, hazelnut butter in aroma and cup. Savory-leaning structure with brisk acidity; satiny mouthfeel. Notes of cocoa-toned pipe tobacco predominate in the short finish, while hibiscus and foresty fallen-leaf notes figure prominently in the long. Deeply and richly sweet; spice-toned. Lavender, mulberry, bay leaf, lemon zest, allspice in aroma and cup. Sweet-toned structure with vibrant acidity; buoyant, silky mouthfeel. The long, resonant finish is laden with spice-toned floral notes and bright berry suggestions. High-toned, richly sweet. Nectarine, apple blossom, redwood, dark chocolate, grapefruit zest in aroma and cup. 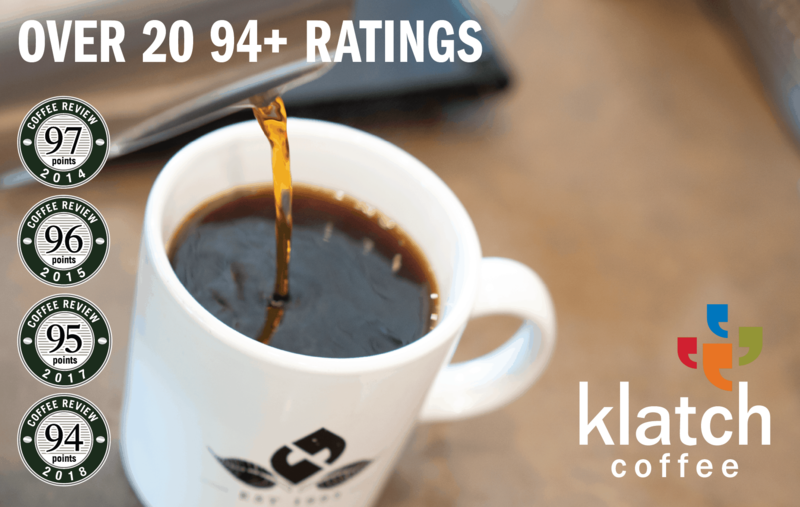 Sweetly tart structure with bright, lively acidity; crisp, velvety-smooth mouthfeel. The finish is saturated with notes of stone fruit and apple blossom in the short, with dark chocolate and a hint of grapefruit zest resurfacing in the long. Deep-toned, richly sweet-savory. Bergamot, butterscotch, red currant, dried hibiscus, almond wood in aroma and cup. Intricate, complex, balanced structure; delicate, silky mouthfeel. The finish, rich, long and deeply sweet, consolidates to bergamot and butterscotch. Richly savory, sweetly herb-toned. Baker’s chocolate, fennel, black cherry, cedar, wisteria-like flowers in aroma and cup. Round, deeply sweet in structure; syrupy mouthfeel. The cocoa-toned finish leads with black cherry in the short, which settles into a cedar-toned flowers in the long. Delicately sweet-tart, fruit-toned. Strawberry, aged rum, cocoa powder, pink peppercorn, celery seed in aroma and cup. Sweetly fermenty in structure; satiny-smooth in mouthfeel. A hint of aged rum carries the finish, accompanied by berry notes in the short and spice-toned savory notes in the long. Complex, fruit-forward. Ripe strawberry, dark chocolate, frankincense, pink peppercorn, aged rum in aroma and cup. Bittersweet structure animated by a bright, juicy acidity; delicately lively, smooth mouthfeel. The resonant finish is flavor-saturated, leading with berry notes with a hint of sweet ferment in the short, rounding to spice-toned chocolate in the long. Crisp, elegantly sweet-savory. Baker’s chocolate, lemon blossom, fine musk, dried peach, almond in aroma and cup. Balanced, sweetly tart in structure; delicate, satiny mouthfeel. The richly drying finish consolidates to chocolate-toned stone fruit, with a hint of fine musk.